Kelly Rowland gives a powerful performance in the new video to her speculated single ‘Dirty Laundry’. The simple but yet effective video sees Kelly Rowland reflecting on life after Destiny's Child and finding herself in an abusive relationship. The single which appears on Kelly's new album ‘Talk A Good Game’, gained a lot of buzz after the lyrics saw Kelly sing about her fellow band member/cousin Beyoncé's career blow up right before her eyes. 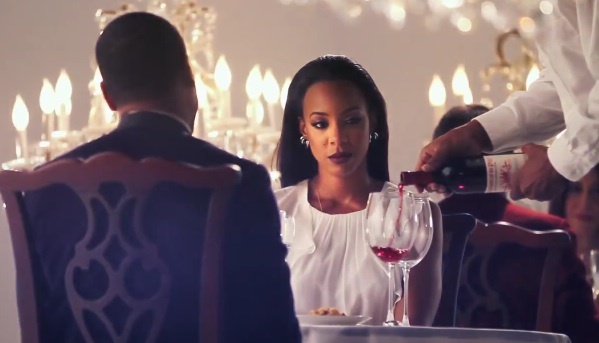 Other than the fact that this is an emotional video and song from Kelly Rowland - she looks GREAT! She is an overcomer! We love you Kelly! Let's do this dirty laundry, this dirty laundry!